Comments: No more groan sounds. This part fit perfectly on my Nissan. Comments: The parts were of high quality and installed easily. The bushings have noticeably improved the handling and control on my Nissan Titan. Comments: Easy to install. Still no noise over speed bumps. Comments: Holding up very well after 2 years of abuse on them. Strongly recommend these for anyone who needs bushings! Comments: I put these on my 2008 Nissan Titan 2wd. They were as described, came with lube, and really easy to install. Comments: these took minutes to install and work great. Comments: Installed easy and good Quality. Comments: I bought these for my 06 Frontier and it made drastic difference in steering feel. You must keep them greased or they will squeak (like any poly bushing) but overall a great product! 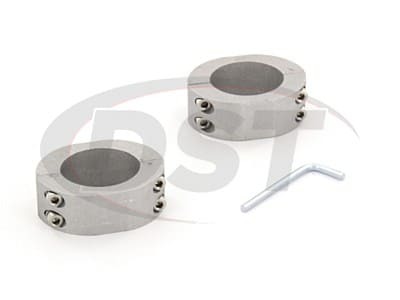 Comments: I used these bushings to tighten up the sway bar to frame connection on my 2006 Nissan Frontier. The bushings are for a Titan and are a little different than the stock Frontier parts however they installed with no modifications needed. Turn in is much improved as well as the trucks ability to track strait over small bumps at freeway speeds. Very good upgrade to the stock rubber bushings which were worn out at less than 50k mi. 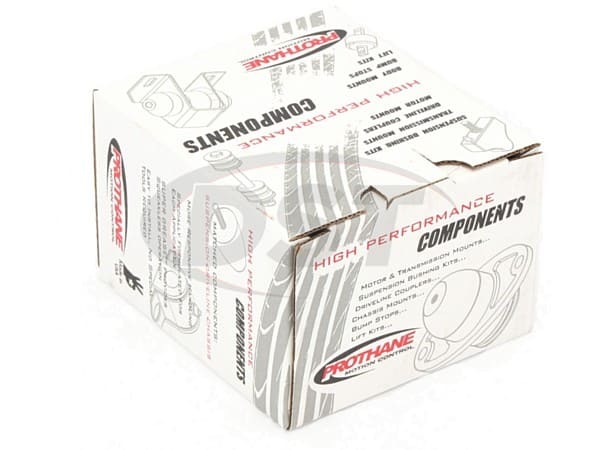 Comments: This is my 3rd set of Prothane bushings in my 2006 Nissan Titan in as many years. The roads between Leominster and Fitchburg MA are full of holes and patches which eat any bushing fairly quickly. Many folks overlook these small inexpensive parts but they're easy to change and make a world of difference in the squeak and clunk department on my 4x4 truck with its slight 1.5" lift. I think I'll change em out again after winter before I put my summer wheels and tires back on. Not that they'd need it. I'm just fussy that way! Comments: Perfect fit, works great, nice product thanks. Comments: They were very easy to install and seem to work fine. 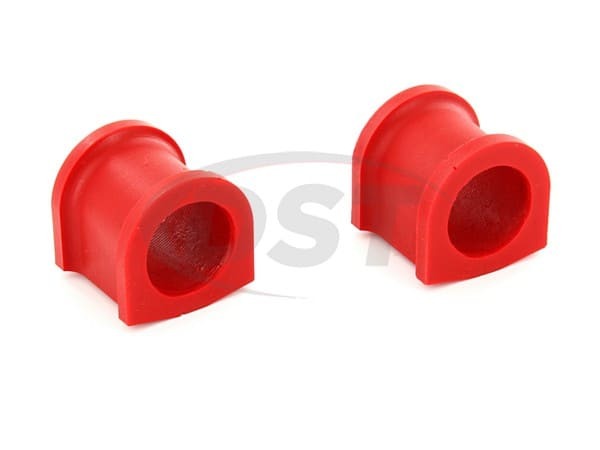 Great replacement for the stock rubber bushings. Comments: Just what I needed and bolted on in minutes. Comments: Works great. Better handling than stock rubber bushings. Comments: Product worked very well on my 2008 Armada. Ordered based on the information I received from ClubArmada.com. Great resource. Comments: I do wish that the split on the bushings was in a different spot. Considering where they come together is the part that presses against the frame. I know all other options are setup the same way so it is not a knock against this product. These were easy to install and way better than OEM. Fixed my problem. Comments: Bushings fit exactly like stock. A tad more firmness in the turns just like I ordered. 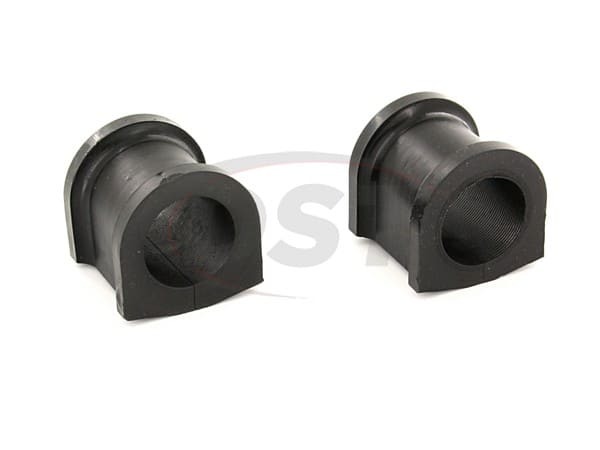 Mine were black which makes no difference, because it is all in the material that the bushings are made out of. Parts for a Titan. Thanx, AL Fone. 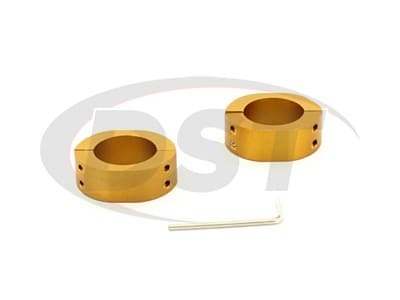 Comments: Well I purchased these bushings to see if it would eliminate a squeak that my Nissan dealer said they could not recreate, I told then I felt it was the bushing but the dealer said the original was still good... so I purchased these bushings from "Energy Suspension". The price was the best I had seen and they shipped it super fast and at a very reasonable price! Needless to say I was very impressed with it. So I went ahead and removed the stock Nissan bushings and installed these Prothane Bushings and now no squeak in fact it seams more nimble which is great! I'm very happy with my purchase and would Highly recommend the product for those looking to replace their originals or worn out bushings! In fact, I plan to purchase another set just as a back up in case. Just a totally Awesome buying experience!! Energy Suspension you guys rock!